Celebrate the incredible career of the ‘Man with the Golden Flute’ Sir James Galway - from performing with the Berlin Philharmonic to playing with Muppets. James Galway was born on 8 December 1939 into a poor family close to East Belfast's docks. James's father, grandfather and uncle all played the flute. His uncle began teaching James on a B flat flute - a bit bigger than a piccolo. 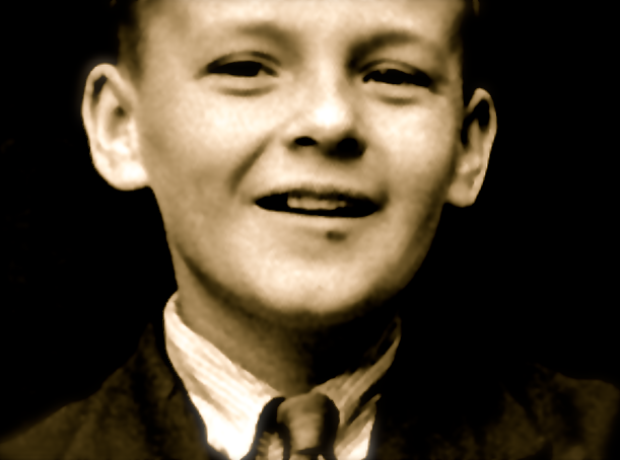 Young James joined a marching band called the Onward and worked for two years in a piano shop, learning tuning and repairing. As a teenager James travelled to London to study flute at the Royal College of Music and later, the Guildhall School of Music, subsidising his studies by playing gigs. He went on to spend 15 years as an orchestral player - with the Sadler's Wells Opera, the Covent Garden opera orchestra, the LSO and the Royal Philharmonic. Galway's engaging personality and brilliant playing made him a household name in the 1970s. There was hardly a TV show he didn't appear in, including Top of the Pops. In 1978 he recorded a version of John Denver's ‘Annie's Song’ for his then wife Annie. The single peaked at No. 3 in the UK Singles Chart. In 1977 Galway had a very bad accident, breaking both legs and his left arm. He was out of action for many months. He also had a scare in his 50s when it was discovered that he had two blocked arteries and was a major candidate for a heart attack. He had two metal stents put into the arteries and is now in good health. In 1979, Galway was at the peak of his fame, appearing in the Royal Variety Performance with such legends as Bill Haley, Red Buttons, Les Dawson and former ITN newscaster Reginald Bosanquet. What a stellar line-up! At the 2005 Classical Brit Awards, Sir James won the Outstanding Contribution To Music award and performed on stage at the Royal Albert Hall. Sir James has performed for countless dignitaries including Pope John Paul II, three U.S. Presidents, and HM The Queen. Here Her Majesty greets him during a reception in May 2006 at Buckingham Palace for people over the age of 60 who make a significant contribution to national life. Sir James performed at Classic FM Live at the Royal Albert Hall in April 2013. "A good live performance on stage is one with total commitment of the executant," he has said. "My personal approach is to close down all personal thoughts of the day and concentrate on the music." Sir James is a dedicated Christian who always visits churches while travelling and prays before his concerts. He also wears a cross pendant. “It's not jewellery," he says. "It's something that reminds me of what I should be doing and how I should be behaving.” Photo: Paul Cox. After an incredible career, and an eye-watering 30 million album sales, James Galway was recognised with a Lifetime Achievement award at the 2014 Gramophone Awards.